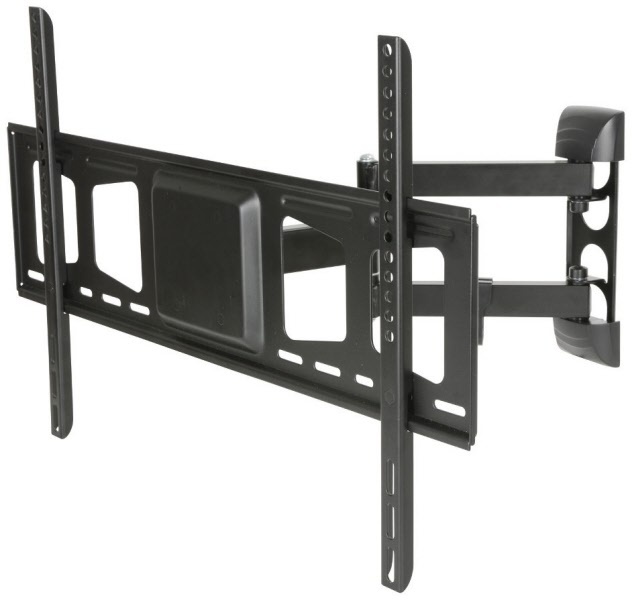 << Back Full Motion Double Arm TV Wall Bracket 32" to 60"
This full motion wall bracket is suitable for LED screens from 32" up to 60" and offers maximum flexibility with extend, tilt and swivel (180º) capabilities providing easy viewing from any seat in a room. The easy to assemble, low profile design will save you wall space and keep your cables clean and tidy. A professional quality, heavy duty wall support constructed from heavy duty powder coated steel finish, supplied with a selection of fixings and locking bolts for secure installation. Screen Sizes 32" - 60"